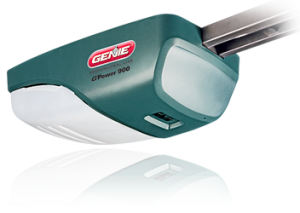 Our inventory of garage door openers in Bell Canyon CA includes a variety of models from respected brands like LiftMaster and Genie. We have openers ranging from 0.5 horsepower to 1 horsepower, which will be sufficient to raise and lower any size door. We can even accommodate oversize doors. Our inventory also includes direct drive, screw, chain, and belt openers. These different drive types allow you to choose an opener system that meets your goals regarding things like easy maintenance or ultra-quiet operation. For most people, the type of garage door remote that comes with their garage door opener is really important. You might be excited to get a multi-function remote that can also control your gate, or you might be satisfied with a simple one button remote. We also offer systems with high-tech remote control features like motion detecting control panels or keyless entry pads. No matter what features interest you most, we’ll help you find an opener and remote that you’ll enjoy using. Any time you have trouble with your garage door opener or remote, you can call Carroll Garage Doors. It doesn’t matter if it turns out to be something silly like a dead battery or something more serious–either way we can help. Because our technicians are intimately familiar with all kinds of garage door openers, they will be able to provide a fast and effective repair. We can even offer you scheduled preventative maintenance for garage door openers in Bell Canyon CA to keep your system working better longer. This service would include safety inspections, battery replacements, and opener motor tuneups. Whether you are shopping for new garage door openers in Bell Canyon CA or need service or repairs for your current system, Carroll Garage Doors is here to help. In most cases, we can provide same day service to meet your needs quickly and conveniently.